Intravenous immunoglobulin (IVIG) is a blood product administered intravenously. 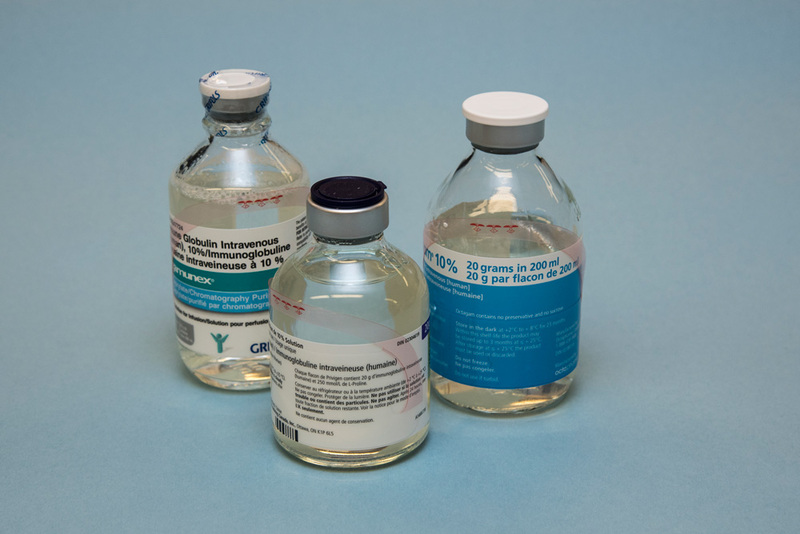 IVIG is manufactured from pooled plasma obtained from several thousand donors. It is made up of immunoglobulins, which are called antibodies. Antibodies help protect the body from germs, such as viruses. Antibodies are made by the immune system. The immune system is the part of the body that helps fight infection. IVIG is used to treat a number of autoimmune disorders, idiopathic diseases (disease of unknown cause), and infections.